The 1982 “Magic” album would be the last studio album from Gillan and this probably is why they are the best British rock/metal act not to have made it big in the US. The band would disband after this album with Ian Gillan going onto to front Black Sabbath before reforming with Deep Purple. So the million dollar question is, did they go out with a bang? One advantage for me in answering that question is that I’m still pretty much a new comer to Gillan because they didn’t make a huge impact in America. While, I have heard many of their previous albums and posted about them on here, I haven’t listened to them enough to arrange them in any sort of order to preferences. Furthermore, I try not to pay attention to chart positions and don’t give a crap if “Magic” didn’t chart as high as “Glory Road.” That makes it easier for me to judge this album on its own. 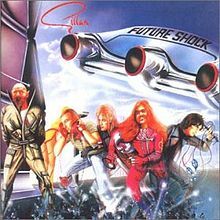 I have also heard plenty of final albums from bands who disbanded after and I can say that since this is a last album from Gillan, they definitely go out on a high. 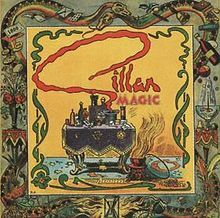 With “Magic,” Gillan try to walk a fine tightrope between hard and more synthesizer rock, which they do quite well. There are some great rockers like the opener, “What’s the Matter” and credit where due, Janick Gers lays down a mean guitar solo on “Bluesy Blue Sea.” I didn’t realise he was so capable of playing in the blues like style. Another great rocker is “Driving Me Wild.” On the synthesizer side is “Caught in a Trap” and “Devil Driver” which goes way out there on a very progressive yet creative streak. That one is definitely one to have playing while contemplating the universe. Of all the tracks, the one that brings both the guitar and synthesizer sides together to make a great song is “Living for the City.” It starts with the keyboard making one think that this is going to be in that vein when the guitar just steps in and takes over. Once again, Gers plays a great guitar solo and the keyboards don’t disappear but continue to add to the flavour. What stops it from being a fantastic song, unfortunately, is the vocals of Ian Gillan. He tries to hard to be a screaming rock singer when he doesn’t have to be. His voice is good enough without having to do that. Still, “Magic” is a great album. 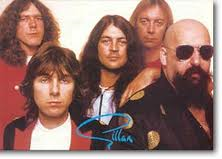 After “Magic,” the members of Gillan would go their separate ways and move onto other things. With the person whom the band is named after, that would be left to history. It’s good that unlike so many other bands whose final album isn’t up to much, Gillan at least goes out with a bang with theirs.